Philippine National Bank’s presence in the UK has undergone many changes over the years, before finally evolving into the entity it is today. PNB opened its London Representative Office in 1968 as a way of expanding its international services and facilities. Eight years later, on 2 January 1976, the office was converted into a branch through an interim authority to operate, which was issued by the Bank of England. Seeing its business grow in the 80’s and 90’s, PNB London applied for authorisation to operate as a UK-incorporated bank, in order to capitalise on opportunities opened up by the European Economic Community. The authorisation was granted in July 1997 and the new subsidiary Philippine National Bank (Europe) Plc as a UK bank, commenced trading on 1 September of the same year. Aside from foreign exchange remittance services, the bank then offered a fuller range of banking services including savings deposits, personal and business loans, letters of credit, equipment leasing. On 1 October 1997, PNBE opened an extension office at Notting Hill Gate to serve the Filipino community in the West End seven days a week. Taking advantage of its UK bank status and the passporting rights within Europe, PNBE opened a branch in Paris in April 2007, to serve the Filipino population in that city. The possibilities of opening in other European countries are presently being considered. PNB (Europe) Plc continues on the road of expansion and growth following its Corporate Headquarters’ relocation to premises in the West End in January 2009. The siting of the Corporate Headquarters is part of the future progression of PNBE, which was further enhanced by Philippine National Bank’s merger with Allied Banking Corporation (ABC) in 2013. Throughout the years PNBE has been inspired by the Filipino community’s increasing demands for faster, more efficient and professional financial services. At present, the bank has a personnel complement of 27 highly-trained staff with an open policy to develop staff capacity according to its requirements. PNBE continues to develop and offer the best possible services for its customers in the UK, Europe and the Philippines, with ever increasing usage of the internet for the customers ease and efficiency. 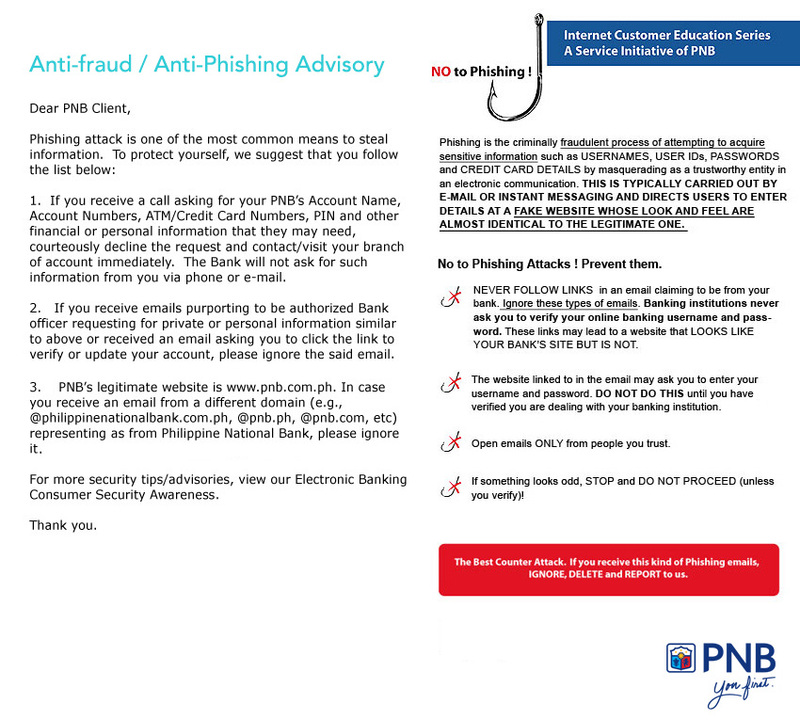 PNBE continues to serve you as a fully secure home for your money offering better financial services. 1968 - Representative Office is opened in the City of London. 1976 - Branch is created per authority from the Bank of England. 1997 - PNB (Europe) Plc is granted licence by the Bank of England to operate as a UK-incorporated subsidiary in order to expand banking services in the European Economic Community. 1997 - Notting Hill Gate extension office is opened with the end-view of further expansion in the UK. 1998 - Plc Head Office moves to new and improved City premises to meet increasing demands and implement new services. 2006 – PNB (Europe) is granted by the Financial Services Authority the Passport permission in order to do cross-border banking services and branching out across European Union Countries. 2007 - PNB (Europe) Paris Branch opened to meet the growing market in France. 2014 – PNB (Europe) Plc merged with Allied Bank Philippines (UK) Plc following the merger of both its parent company in the Philippines.